Tax implications of using a quitclaim deed vary. When you transfer property using a quitclaim deed, you legally walk away from any rights that you have in the property, whether or not you actually have any. With this in mind, you could quitclaim a property for any of a number of different reasons. The type of deed you use to transfer a property generally doesn't have any impact on your taxes – it's why you're deeding it and what you get from it that matters. Depending upon the specific type of quitclaim you use, you may find yourself subject to increased taxation. For example, using a quitclaim as part of a home sale may result in capital gains taxation or taxes on any loan forgiveness you received. 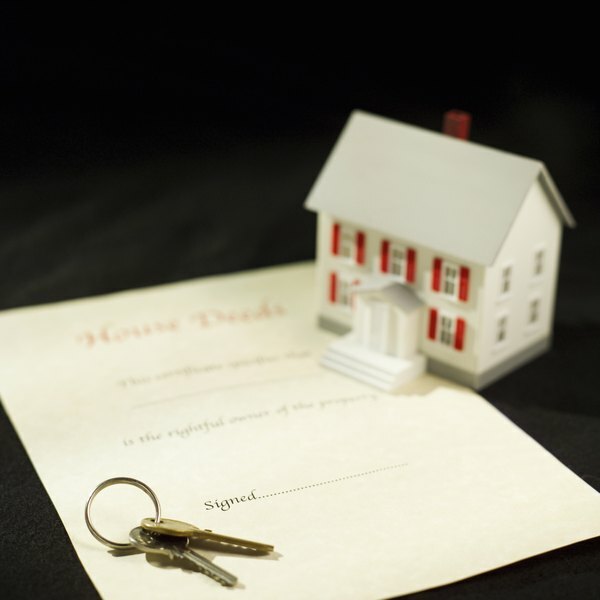 Sometimes people sign a quitclaim deed to take their name off the chain of title. For example, quitclaims get used when a spouse in a divorce is awarded a piece of property and the other spouse needs his name removed. As another example, when family members sell a property after someone dies and a mistake occurs such that one person didn't sign the deed, a quitclaim can clear that person off the title years later, thus removing any potential problems for the new owners. In instances like this, you usually aren't getting anything in return for the property – or in return for quitclaiming it – so signing the deed doesn't have any impact on your taxes. Sometimes, people quitclaim deeds to other legal entities over which they have control. For example, you might file a quitclaim deed to relinquish ownership of your house to a living trust that you've set up for estate purposes. This type of transaction won't have any real tax implications. You might also transfer a rental property into a pass-through company that you own, such as a limited liability company. This shouldn't have any tax implications either, other than perhaps a change in paperwork at tax time. When you sell the property using a quitclaim deed, the tax implications are the same as they would be with any other sale. If the property has been your primary residence, capital gains of up to $500,000 are tax-free if you're married filing jointly – $250,000 if you're single or married filing separately – as long as you meet certain IRS requirements, such as living in the house for two of the past five years. If the property is an investment property, you're subject to capital gains tax on any profits unless you do a tax-deferred exchange. If you quitclaim your property to your lender as part of a deed-in-lieu-of-foreclosure transaction, you could be subject to two different types of tax. First, if your property sells for a profit, the usual capital gains rules apply. On the other hand, if your lender forgives a portion of your loan debt as a part of the foreclosure, that forgiveness could be taxable at ordinary income tax rates. Generally, forgiven debts on second mortgages and investment property mortgages are taxable, but mortgages on primary residences aren't,.